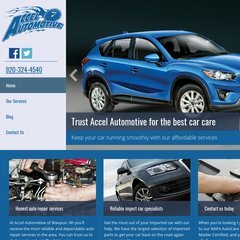 Accelautomotive.com's server IP number is 64.199.226.70. It is hosted by Yellow Book Usa (Iowa, Davenport,) using Tomahawk web server. It has 2 DNS records, ns35b.att-webhosting.com, and ns35a.att-webhosting.com.